Multi-instrumentalist essentially of self-taught orientation, born in Jerez de la Frontera (Cádiz) on May 30th, 1972, a waning moon night. In Istanbul he also began his training as an interpreter of Turkish Santur, Qanun Baglama and Saz with outstanding teachers such as Suhat Baktagir, Tarik Aydoglu and Osman Aksu. This ongoing training has today led him to specialize in the interpretation and study of these and other instruments such as Rebec, Fiddle, Kemanja, Qanun, and Lute. 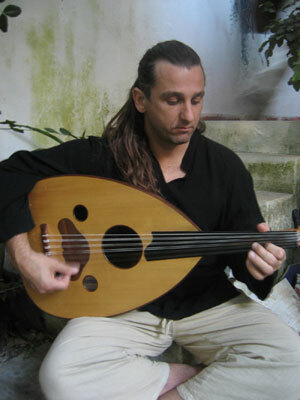 Since 1999 he has participated and collaborated in different ensembles specializing in the interpretation of Early, Traditional and Eastern and Mediterranean music such as ábrigu, Bran Ruz, Alquimia, Arte Factvm, Caravasar, Estambul, El Sombrero del Alquimista, Capella de Ministrers, L’ham de Foc, Ross Daly, Samarcanda, Mediterranea, Zejel, Durendal Ensemble, Capilla de Música Antigua de Chinchilla, Estampida Real, Yasmine Levy, Dufay Collective, Estampie, Tétouan Conservatory Orchestra, Schola Gregoriana Hispana.